Oxygen deficiency results in an ACIDIC state in the body, which is an open invitation to cancerous growth, as cancer cells are anaerobic and can survive without oxygen. 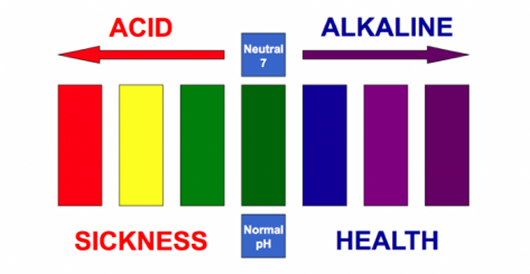 A pH balance is a must to ensure that the body remains free from cancerous growth. 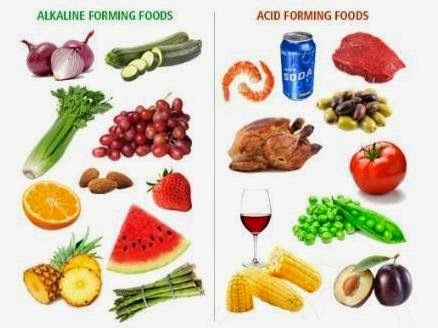 It is therefore important that your everyday diet contains alkaline foods that will keep the alkaline level slightly higher than the body's acidic level. Most health problems start in a body, which is acidic. While most people with acidity problems have become habitual to use antacids, which have too many side effects, there are alternative remedies that might help in such acidic conditions. Remember, most of us are under the notion that citrus fruits have an acidifying effect on the body, but the reality is opposite. The citric acid content in such foods actually has an alkalinizing effect in the body.